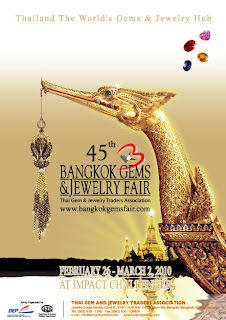 The 45th Bangkok Gems and Jewelry Fair is back this year, happening on February 26 - March 2 at Impact Challenger Hall in Muang Thong Thani. This biannual event (March and September) showcases over 1,200 exhibitors from over 35 countries, and is more or less targetted towards trade buyers from all over the world to source their supply of precious stones and jewellery. But that doesn't mean that we commoners cannot sneak a peek at the dazzling displays of luxury, or even pester our benefactors to buy us the tiny objects of infinite joy. The fair is free for trade visitors (see website for qualification) but there is an entry free of 100 baht per person for the general public; and children aged under 15 aren't allowed to enter. Benetton are searching for 20 finalists to be the newest faces of the brand; they’re after creative, unique individuals – not just your ‘typical’ model – and they’re holding a global casting session to encourage people to enter. All people need to do is visit the competition microsite and create a lookbook.